Do you love your Christmas tree? I am not in love with mine; I think it’s time for a redo. And I go back and forth between whether I want a tree with nothing but handmade ornaments, or a classy tree all done in silver and gold. I’ve decided on a compromise – a tree where all the ornaments are meaningful – which means many (most, hopefully) will be handmade, but also that I can keep the various non-handmade angels I’ve collected. 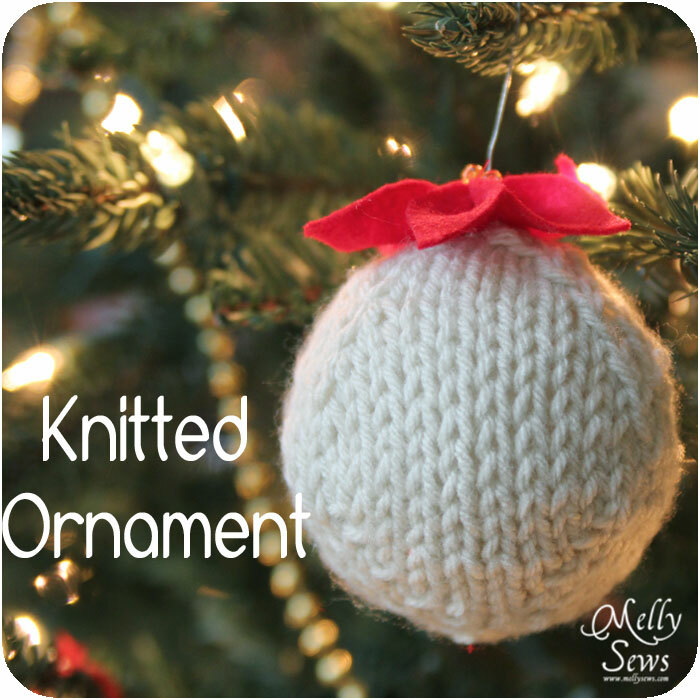 So in the spirit of handmade, when I went to a party with an ornament exchange this past weekend, I took this hand-knit ornament with me. I knit it while watching Project Runway, so it was a quick knit (although I should add the caveat that I’m also a pretty fast knitter – the time forcing myself to learn continental style was well worth it). And true to form, I did not take notes as I went, but made it up as I went along. However, it was simple enough that I can recreate the pattern for you. 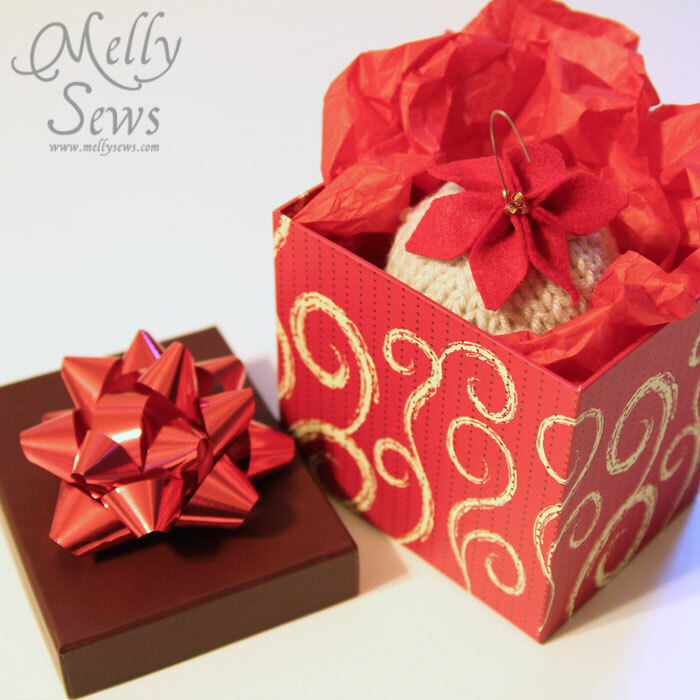 This is a good list of knitting abbreviations to start with if you’re unfamiliar with them. Cast on 6 sts, and place 2 on each of 3 double pointed needles. Join round. Row 1: K into front & back of st, K2. Repeat on each needle. Each needle has 3 sts now. Row 3: K into front & back of st, K into front & back of st, K1. Repeat on each needle. Each needle has 5 sts now. Odd numbered rows 5-11: K into front & back of first and last sts, knitting all sts in between. You will increase to 13 sts on each needle. When you have only 6 sts left, cut the yarn leaving a long tail, thread the tail through the remaining sts and pull tight. 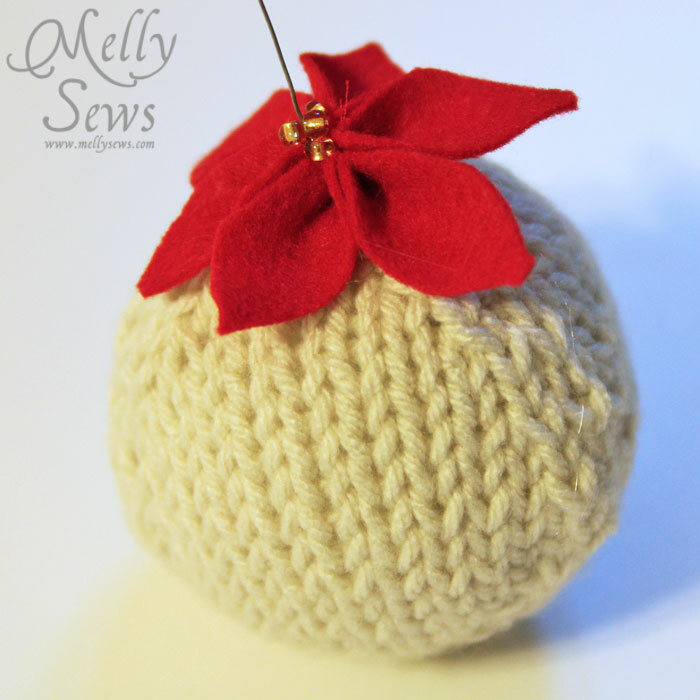 Around row 17, when your ornament is 2/3 of the way done, stick the styrofoam ball in it. 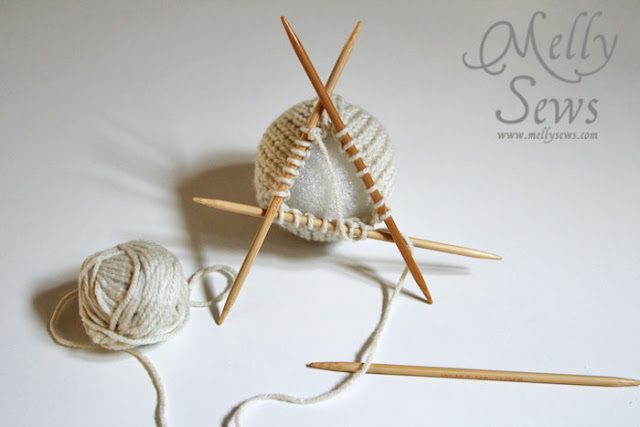 Continue to knit with the ball in place. I used a crochet needle to weave the tail to the back side. 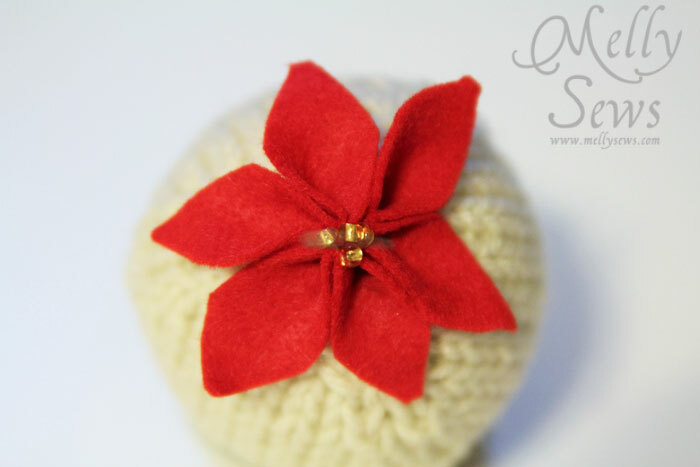 On the top, I added a poinsettia I made from felt the same way I made the flowers in this tutorial. I pushed one end of the hook into the styrofoam, threaded the flower onto the other end, and sandwiched hot glue in between. Then packaged it up for the ornament exchange. So, would it be crazy to try to have a 90% handmade tree next year? Hi! I love this ornament and I linked to your tutorial in my home-made gifts post today.